Mintage of only 300,000 coins! 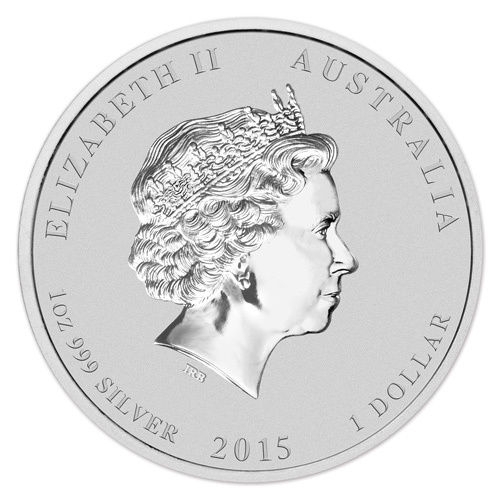 This is the Eighth coin in the very popular Australian Lunar Series II collection. Each coin is struck in .999 fine silver and is legal tender under the Australian Currency Act of 1965. 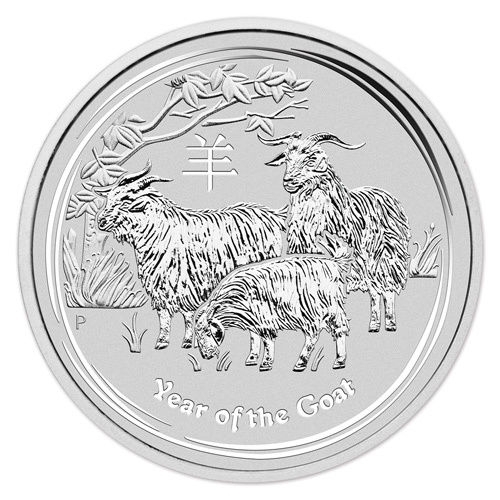 The reverse of this beautiful coin depicts a family of goats grazing in a field. The obverse depicts the Ian Rank-Broadley effigy of Her Majesty Queen Elizabeth II. Each coin will come sealed in its original mint capsule and a 2 1/2 x 2 1/2 plastic flip for protection. According to the Chinese Lunar Calendar, the Goat is among the animals that people like the most. It's gentle and calm natured. Those who were born in the Year of the Goat are tender, polite, clever, and kind-hearted. They have special sensitivity to art, are wise, gentle, and compassionate. Weaknesses include shyness and indecisiveness.